Cumulus Media has announced that NASH FM 94.7/WNSH-FM in New York City will launch "Kelly Ford in the Morning", on February 4. The move marks a return to The Big Apple and to NASH FM 94.7 for Ford, formerly the co-host of Westwood One's nationally syndicated Country morning show, "Ty, Kelly and Chuck." NASH FM 94.7 celebrated Ford's return to New York City this morning with an on-air announcement followed by a live performance by Country artist Russell Dickerson from Hackensack Meridian Health Stage 17, in Cumulus New York's studios at 2 Penn Plaza, high atop Madison Square Garden. "Kelly Ford in the Morning" will air weekdays from 6am-10am on NASH FM 94.7. Ford helped launch NASH FM 94.7 in 2013 as its first Midday Host, before moving to Nashville in 2015 to join "America's Morning Show" for Westwood One. An advocate for women, Ford has been honored by the Alliance for Women in Media Foundation with a national Gracie Award for her work on "Ty, Kelly and Chuck". 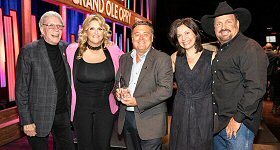 Chad Lopez, Vice President/Market Manager, Cumulus New York, said, "We are thrilled to have a talented, recognizable name in country music at the helm of our New York-centric morning show. We welcome Kelly back to NYC in a big way, and so will our loyal and passionate country music fans and advertising partners." John Foxx, Program Director, NASH FM 94.7, added, "Kelly has built amazing relationships and has created a strong bond with our listeners in New York and New Jersey. Her history in the format and passion for the music really sets Kelly up to create a fun and unique experience around Country Music and this city. 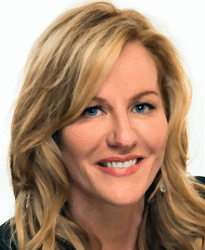 It's exciting having Kelly Ford lead Morning Drive at NASH FM 94.7." "When Chad Lopez and John Foxx first proposed the idea of Kelly Ford in the Morning, of course my reaction was "What the Ford?" said Ford. "And my second was, 'Truck yeah!' I can't thank Chad and John enough for bringing me back and Mike McVay for making it happen. It's like a full circle moment for me as I was the first LIVE voice heard on NASH FM 94.7."